Welcome to our ticket booking page. You can buy Rover tickets for our May 2019 Diesel / Mixed Traffic Gala on this page. 2) If you are visiting for more than one day then a 2, 3 or 4 day ticket may be better value. A 2 or 3 day ticket can be used on any 2 or 3 days of the event. 2) Choose the tickets you require. All Rover tickets allow unlimited travel on the date(s) of your visit, and also allow free entry to the Rail Story museums at Ingrow station. Adult = All passengers aged 16 years of over, unless considered a concession (see below). Concession = Persons aged 65 years or over, Students with NUS Card, Holders of English National Bus Pass. You will need to show your ID or card to prove entitlement when collecting your tickets. Child = Children aged 5 to 15 years of age inclusive. Small Family = 1 Adult or Concession and 1 Child travelling together. 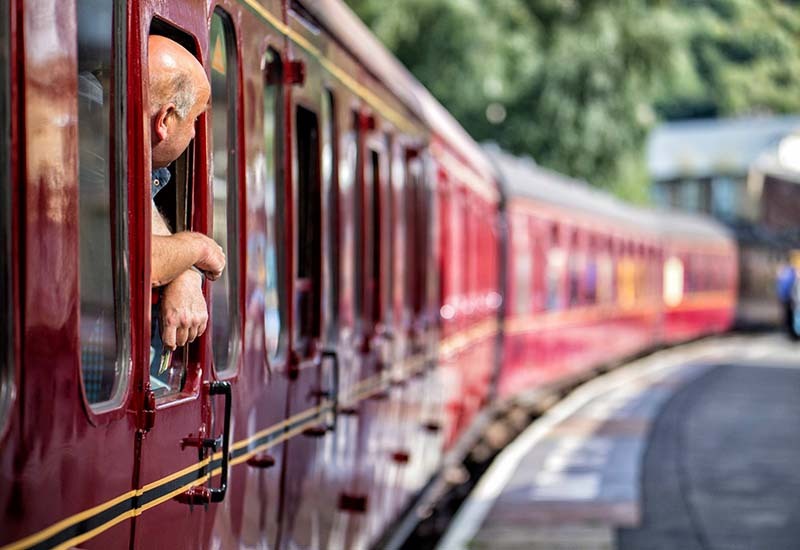 Members and holders of Local Railcards can also buy tickets online - you must be a Member or hold a Local Resident Railcard in order to buy these discounted tickets. If you choose those tickets you will need to show your valid membership or local resident card when you collect your tickets. 3) Once booked you will be sent a confirmation email and reference number, which you will need to bring with you when you come, in order to collect your tickets. Rover Tickets for any 2 days of the event. Rover Tickets for any 3 days of the event. Rover Tickets for all 4 days of the event.